Leo and Mike, two artists from the Renaissance with whom you might be familiar, are languishing in obscurity on Quora. They got collapsed by malicious forces in the future, which is now, and I am going to give them a home. The explanation for their collapse on Quora can be found under the Vesuvius Guy at the end of this story, a short way down. If you scroll slowly, you’ll see it. Long ago, during the Renaissance, art, literature, and sitcoms were enjoying a rebirth. It’s quite astounding that the rebirth of these things coincided with the name of the era. How did they manage that? It’s like The Great Depression. Things coincided with that, too, like the discovery of the Mariana Trench and the Grand Canyon, psychotherapy, and potholes. Quite interesting. Anywho, the story of the answer to this puzzle is amazing. 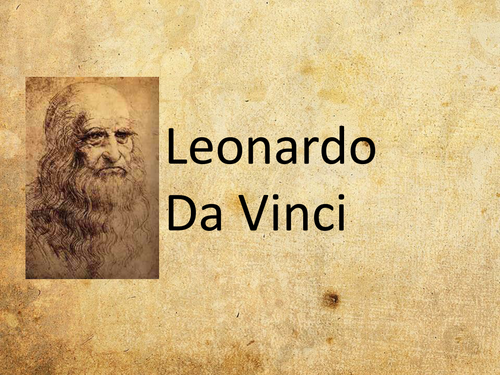 Leonardo Da Vinci and Michaelangelo were hanging out one day. They’d wandered into a cathedral, and were sitting in a pew in the quiet, empty church. Mike was leaning back, his elbows propped on the back of the seat, enjoying the cool darkness after the blazing sun outside and was staring up at the ceiling in a preoccupied way. Leo had stubbed his toe on a paving stone the day before and he’d propped his foot on his knee to rub it. It was still throbbing. His girlfriend, Mona, had sneered at him, and refused to tend to his injury, even though he was an artist and she was just a model. He was complaining to Mike about his selfish girlfriend and about not having closed toe shoes like the other artists. All he had were sandals. Mike told him to ‘shut up, cavrone. The Lord Jesus only wore sandals, so Leo could just deal.’ Leo got ticked and called him a ‘house painter with a Napoleon complex’ and went back to rubbing his toe. They bickered in this fashion until a nun popped her head out of the rectory and shouted, “Sh!” at them. She had a look on her face that said she meant business. They started giggling and couldn’t stop. Oh! 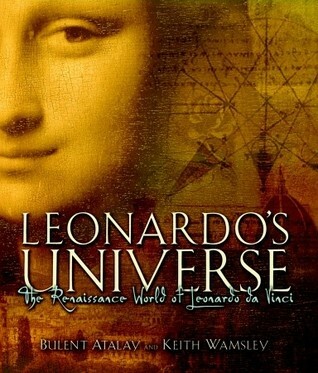 To see Leonardo da Vinci and Michaelangelo (did he have another name, or was he like Cher? ), giggle was something to see. You’d never know they’d been born during the Depression, would you? They both went home, and Leo yapped to his mom for so long about his toe that she finally made him a mixture of flour and water to put on it, and then went back to watching her soap, The Borgias and the Medicis: The Bad and the Bombastic. Leo had been wanting to replace the papier mache he’d been using to build his artistic stuff. He plucked the toe band aid off, rolled it into a ball, and then began to shape it into a dog, a squirrel, a little bird, an ashtray-whatever struck his fancy. Some of his early efforts with this medium are on display at his Grandma’s house, and if you’re ever in Florence, and would like to see that junk, go. Please leave a lira or Euro in the lumpy ashtray placed near the door. Leo rolled the dough out flat with his mom’s rolling pin, because he liked laying down in the middle of it. He made snow angels with his arms and legs, or in this case, dough angels, in the circle. Here he is below, in a picture that was caught by a surveillance camera set up by some guys from the Petrucci family for their new television show, Italy’s Funniest Videos. See how Leo is in a circle, inside a square? And his arms and legs make triangles? This is why we eat round pizzas in a square box, cut in triangles. Voila! Voi freaking la. I have solved the puzzle! What does this picture mean? More accurately, what did Leo mean by this? Was he stoned when he created this dough boy? Is that why Vesuvius Guy looks like he’s trying to fly? Because he’s trying to get away before old Vesu blows? Leo might have been stoned, but the best thing to come out of all his messing around this way was…drum roll…Pizza! His mom had forgotten to make dinner, she’d been so involved in her ‘stories’, so she’d grabbed Leo’s dough when he’d got up to go to the bathroom, threw some tomato sauce and cheese on it, and baked it, ignoring the fact Leo’s bottom had been on it. When he yelled at her for destroying his fun creation, she’d told him ‘Piz off, she was his mom, and he wasn’t too big to spank’. Some seriously good plays on words in this one. I had help, but didn’t want to add them on my blog. What a fun answer to write, though! Unless or until you are to return to Quora, my account there shall remain deactivated. And there are others. Word is spreading fast! OMG, Jennings! I know you have good friends there! You didn’t have to do that. You’re awesome, my man. I wasn’t planning to be gone long, just until I calmed down. Which could take anywhere from a week to eternity. Usually a week. Snort. I’m just so damn angry. Not to be informed of collapses or violations in any way, shape, or form, and when answers are downvoted, you can do nothing. Absolutely nothing. Well, I have more time to harass you, now. So there’s that. Big kiss! I was a Deputy Sheriff, Attorney, and married. Therefore, I am used to being harassed and insulted. Bring it on! Ah, the being Married is what made you the man you are today! You are a loyal friend! I’m mad as hell and am complaining to Quora! Jennings is the bomb, Annabelle! They are seriously cognitively challenged. VCR answer was a total upvote. What I don`t understand is how they managed to get enough downvotes to collapse anything when only one vote per IRL is allowed. Guess I am pretty challenged when it comes to understand how it works. Just don`t stop the fight! Thanks, Ms. R! I don’t understand how it works, either. No one does. Not even the top people. Snort. If it only takes three or so to downvote and collapse an answer, than it should take only that many and one more to uncollapse it. These are my suspicions, and of course, I have no proof. ‘Those three’ have little to no imagination. People with no imagination have caused more problems for the human race, and held us back more than any germ or weapon. WOW, these are totally opposing stories, it’s so weird!!! So the affair thing never even happened? Why don’t you just give the lady her jewelry back and drop this UnProfessional Wrestling match into the volcano ash where it belongs. Please. What the hell are you talking about? See? I’m now aware of more lies. She’s had her jewelry back since November of 2016! I have the return receipt to prove it. Dimwads and liars. The bunch of them. Don’t come on my blog again. Please. I’ve been banned from Quora, but before I was I was part of Gigi’s and Name Deleted social group on there. I’m better educated than either she or Gigi, I’m better read and more cultured than them both combined. I’m better travelled than Name Deleted, and arguably Gigi too. I was published twice while at university, and am signed with my publisher as a house poet. (Eng Lit. was not my subject at uni) And before being banned, I had answers on Quora with more upvotes than Name Deleted and Gigi’s best answers combined. And despite being hugely unpopular with a certain subset of Quorans, I was far more respected in my fields than Gigi or Name Deleted. If she was going to be jealous over anyone, it would not be Gigi. As for the anti-American thing… That’s just typical British humour. I did the exact same thing myself, and had Gigi throw a hissy fit over it. Also, for all that Gigi insists Kelley is a spiteful bully, she’s not the one naming and shaming a young teen girl in an online blog. Mr. University, please. College is little more than trade school. And no, actually, I’ve spelled “travelled” correctly. The brothers Merriam do not dictate language to the English. The punctuation might be a bit off, I’ll grant, but then I don’t generally feel the need to edit online comments to a state of grammatical perfection. I’m not that much of an obsessive compulsive narcissist. When you say not many will remember me; do you mean of the handful of sycophants you’ve managed to hoodwink with your sob story of how hard done by you are? I’m European. I was exposed to more culture by the time I was six months old than most Americans will be in their entire lifetimes. And I’ve since become highly cultured even by European standards. I do have many character flaws though, you’re quite right about that. But as for manners? I was always taught they were a sign of respect, and I have none for you. How could I have? When you’re so uncertain of yourself that you need to bring your brother’s PhD to bolster your own feeble accomplishments? I might only have an undergrad degree, but you’d be a fool to believe that I’m only educated to an undergrad level. Apparently you care quite a lot. If you didn’t, you’d not feel the need to dismiss my claims as irrelevant. You’d just ignore them. But please don’t get me wrong, while I am more accomplished than a lot of people, including Kelley, I don’t think myself better than them. The only person I hold myself to be better than, is you. I’m not saying it’s all about me, I’m saying it’s all about you. You and your ego, which will brook no rivals. You are an arrogant narcissist, and can’t abide not being the centre of attention. Kelley started to soar higher than you, so you had to try and clip her wings. It’s why you insist on continuing this issue, it allows you to play the victim and bask in the attention it generates. It’s also why you allowed my comment, just another one to add to the attention. It’s actually quite sad, almost like Munchausen’s Syndrome. Aye, Benedict Arnold, Ben Franklin, George Washington… The colonies turned a lot of people into traitors, didn’t they? Only thing wrong with me is that I’ve grown tired of seeing you abuse my friends. And yes, I do mean “seeing”. I got banned from Quora, I didn’t stop using it. My “inane” friends would indeed have called it harassment, because that is precisely what it would have been. You lay into everyone who shows more than a passing familiarity with Kelley, Rick, and/or CJ. You are a bitter old woman, and a bully. Are you sure you want to be accusing others of libel? I’ve only taken a brief look through your rants here, and I’ve found plenty to keep you in defamation suits for the next ten years. I’m not hissy at all. I’m argumentative, sardonic, and often aggressive in my rhetoric. But hissy? Not in the least. It’s difficult to be hissy when you’ve written nothing that doesn’t make me laugh. Your words are as cutting as a wilted daffodil, your wit is lacking and nonsensical, and your attempts to bowl me over with the sheer force of your personality is pathetically weak. Not that you’d really stand a chance at that last, even if you had 20x the personality. I missed this comment of the banned Alec Fane. He sounds just like his friends. ‘Arrogant narcissist’, jealous of his friend, Spartiatis, and trying to ‘clip her wings’. Snort. Yes, indeed. That be me. Trying to clip her wings. Haha! ‘Bitter old woman’. These are all names I’ve been called repeatedly by his friends. Fane has nothing original to say, and never has had. But MY friends are supposedly the sycophants! Congratulations, Mr. Petri Dish, the ‘cultured’ one. It’s why he’s famous, and everyone is clamoring to hear his views, and his ‘wit’. I don’t try for ‘cutting wit’ like so many other dull and unimaginative bloated twits, nor will I ever try for it. The opinion of whether I’m funny or not is subjective. I like nonsense, and so do many other people. You people are not the arbiters of everything witty, funny, or even what constitutes ‘culture’. My friends on Quora, like Masiello, have forgotten more than you’ll ever know. Your repetitive reminiscences in comments about your childhood abuse became so tiresome as to cause headaches. You aren’t fit to touch MM’s trouser hem, as just one example. I’d rather people who actually possess an imagination and a sense of humor give me feedback. It’s quite obvious you resent any positive feedback I do get. And how did my brother come into this? Because Spartiatis threatens me with a cousin who’s a solicitah, but I can’t mention my brother who’s one? Twits. All of you. I’m still waiting to hear which libelous statements I’ve made. Still waiting. Hey, Alec/Charlie Mason! Here’s something I’ll bet your ‘clipped wings’ friend never told you: She asked me to promote her soaps on my blog last year. I told her yes, and that I’d dedicate pages to them. I even offered to write the content for her. If she decided on her own site, I offered to help her with it. She likes to forget all that, though. It doesn’t fit the narrative she’s decided on. Indeed, I wanted to ‘clip her wings’. That really made me laugh. Thanks! Annabelle, I was so flabbergasted by his comment that I even read it to Don. It is so bizarre! I knew he had quite a large ego, but this, this was so weird. Now that was pretty funny Annabelle! This is crazy, and I’m wondering why a second man, (I use this lightly) now, is jumping in and bullying a woman?? Hi Gigi! I just received notice of this update. You’re cracking me up before I even get a couple of lines read. I’m sorry you’re still being bullied by ‘the group’, including many of their followers (some are\were, yours too, weird). I’m actually aware of the comments on the Quora question, “What Made You Angry Today.” I was told, maybe two or three nights ago by two friends. I went and looked today, but some of the comments have been deleted, as you’ve just mentioned, that’s odd. Hmm. If no one stops this hurtful drama, it just keeps on going, and going, and going. It’s like the Energizer Bunny! But at least it gives you hilerious material for your blog, and maybe that’s it, jealousy?? Hang in there, and if you get banned I’m sending a long email to someone I know before I too, leave. There are some things moderation should actually be aware of, but I don’t want to bring them up unless I feel forced to. I prefer to keep them confidential, for now that is. Your real friends have your back, and we care. Thanks for keeping us laughing, here on ChezGigi, on Medium, and of course, on Quora. Btw, I was here, and on Medium last night!! Talk soon!! Hey Mickey! You’re so fine, you blow my mind! Listen, chica, this has turned out to be the biggest favor they could ever do me. I’ve got more material than I can use, some of it thanks to you! So much fun talking to you! Thank you for your support and all the laughter, sweetie!